For over fifty years, Liberty Pest Control has provided top-notch pest control to residents in the Fresno area. Based out of Fresno, Calif., we serve a 20-mile radius of Fresno and Clovis in California. Our family owned and operated business takes pride in treating every customer like family. We tend to your pest control needs without exception! We have been a member of the Better Business Bureau for over fifty years with an A+ rating. We are also licensed, bonded, and insured and a member of the state Pest Control Board. Liberty Pest Control is here to provide pest control for your home or business in the Fresno & Clovis Area. 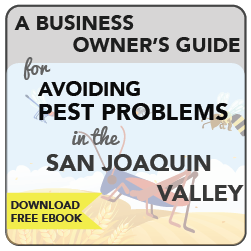 For over 20 years, we have been focused on controlling the common insects and rodents found in California's central valley and with on on going education program we have stayed on top of the best practices to combat any new insects that have decided to call the Fresno - Clovis area home. 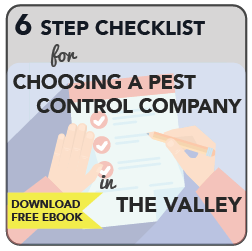 It doesn't matter if you have problems with Ants or Spiders, Fleas & Ticks, Rats & Mice, Roaches or Beetles, Bees & Wasps or Nesting Birds we have a Pest Control Solution. Call today to arrange for a FREE on-site evaluation or to get a rough estimate over the phone. Colony size: Can number up to 300,000 to 500,000 and whole colonies can uproot and relocate quickly when threatened. Colony Lifetime: A colony can live a relatively long lifetime. Worker ants may live seven years and the queen may live as long as 15 years. Do-it-yourself ineffectiveness: Most do-it-yourself ant control approaches only kill the ants you see. Some truly effective treatments can penetrate and destroy nests to help prevent these pests from returning. Also, home remedies don’t account for the fact that different kinds of ant infestations require different treatments. Give us a call at (559) 224‑2600 or fill out the form to the right to schedule a visit from one of our service professionals. We specialize in the exclusion of rats and mice. Call Liberty Pest Control for a free estimate today! Instincts: Rats are instinctively wary of rat control measures such as traps and bait, and colonize in attics, burrows, under concrete and porches, in wall voids and other hard to reach places. Rats can squeeze thru openings as small as a quarter. Access: They invade your home seeking food, water and warmth. Without mouse control intervention, one pair of mice may produce 200 offspring in four months. Mice can squeeze thru an opening as small as a dime. Norway rats are grayish-brown, roughly 13-17 inches long from nose to end of tail. Roof rats are black or brown and smaller and sleeker than Norway rats, with tails longer than their bodies. House mice, usually light gray, are smaller and slender, five to seven inches long from nose to end of tail. Deer mice are small, tan or brown on top with white feet and underbellies. Store food in secure rodent proof containers. Seal all holes, gaps and cracks around the home or business larger than ¼ of an inch. Install tight weather strips on the bottom of all doors that you can slide a pencil under. Store fire wood away from the home to prevent nesting. This also prevents attracting termites to your home along with various other insects. Remove all trash and debris from around the foundation of your home or business. Trim all branches at least 4 feet from the eave of your home or business, and shrubs at least 6 inches off the ground to prevent harborage. To learn more or schedule an inspection, fill out the form on this page or call (559) 224‑2600. Liberty Pest Control can defeat the most relentless bed bugs. Call us today for a free estimate on your removal! Females can deposit one to five eggs a day, and may lay 200 to 500 eggs in a life time. Under normal room temperatures and with an adequate food supply, they can live over 300 days. Bed bugs (often misspelled as bedbugs) are small, nocturnal, wingless insects that belong to the family of Cimicidae. They feed on human blood and other warm-blooded hosts. They are oval in shape and grow up to 4-5mm long when fully grown. Their skin color is rust brown to a deeper red brown. Bed bugs are also known as “mahogany flats”, “red coats” and “chinches.” The adult bed bug does not have any wings and has a flattened body. It’s possible to pick up bed bugs almost any place – they’ve infested offices, stores, hotels, gyms and countless other places we never would have imagined just 10 years ago. They can hide in your luggage, personal belongings, or even on you, and hitch hike a ride back to your home, condo, townhouse or apartment. Once indoors, they can be extremely difficult to eradicate without the help of an experienced pest control professional. A bed bug infestation has nothing to do with cleanliness – you can pick them up in even the finest hotels, and they can hitchhike into the cleanest homes at any time. 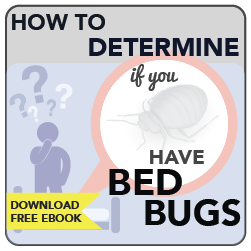 You can help reduce your chances of a costly bed bug infestation by catching them early. Bed bug treatments should be done by a professional. Self treatment can make the problem a lot worse. Call us today for several options for bed bug elimination. Are you traveling soon call us for advice on what to do when you get to the hotel or motel, or what to do when you get home, even if you think where you stayed was bed bug free.